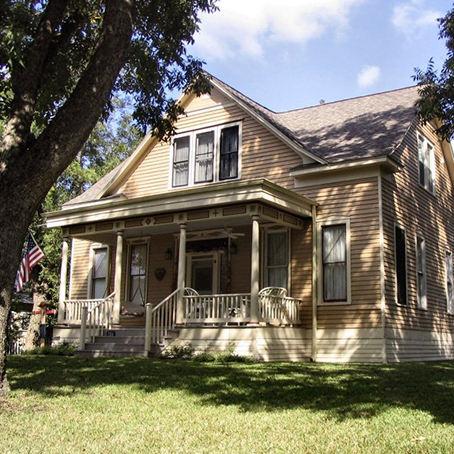 Originally a cottage for boarding, Pecan Grove Inn is now a cozy bed and breakfast hotel in Carmine, Texas. Learn more about the intriguing past of this resilient building. Formerly the Jaster Home, this house was built about 1907. Its four roof gables with twin dormers in the rear remain a grand display of its 1900s German architecture. According to locals, it was Otto Eichler who constructed the home. He used the best longleaf pine lumber and cypress clapping, and after buying the home, the Jasters did some extensive remodeling themselves. The back staircase was removed and a bathroom was added with indoor plumbing. Two of the four Jaster children would be born in the house. The house was also the first one in town with electricity. The large rock in the garden is where the generator was located, and it served the church down the road as well, which Mr. Eichler operated. Cigar salesmen and general merchandise men normally stayed in the hotel, and at the time, the entire house had one large, tin bathtub and an outhouse. For social occasions, house dances were held with an accordion player or local bands. At Christmas time, a large cedar tree was decorated with oranges, apples, peppermint sticks and sugar cookies. The Jasters also had a cafe where the matriarch of the family, Ida, sold her canned goods made from fresh fruits and vegetables. She sometimes made as much as 900 quarts of her special canned goods for the cafe and the home. Ida also baked bread, tended her large garden, and helped the family raise cattle, turkeys, geese, chickens, pigeons, rabbits, and more. The family even made their own wine in wooden barrels. All of the cooking and heating was done with wood until butane (now propane) came along. Candles and oil lamps were used until electric lights came into existence. After purchasing the house, the Presses constructed a new foundation on the south side of the lot, and moved the house to its present location facing Augsburg Street. After the move was accomplished, they completely restored the house and added five bathrooms, an office, and a utility room. They did most of the work themselves, hiring for only the major renovations. 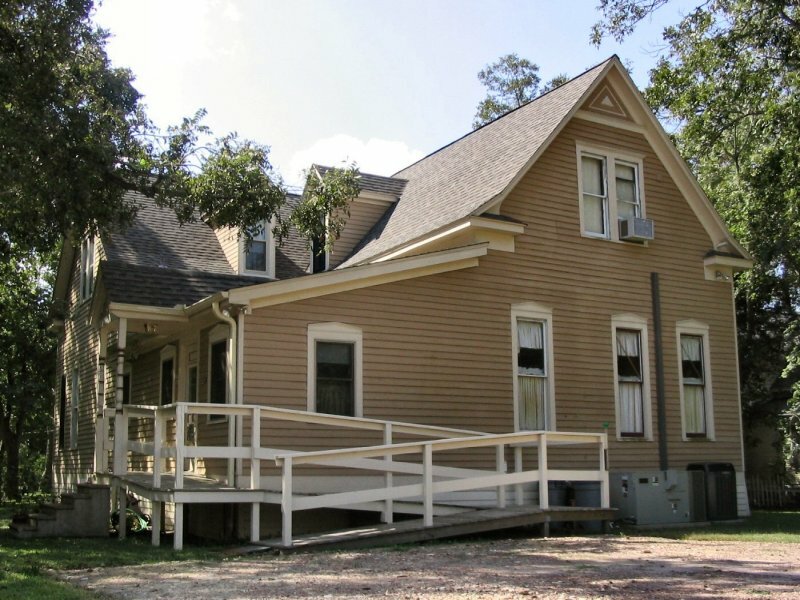 They opened as a bed and breakfast named Pecan Grove Inn on April 15, 2000, reviving the original use as a place for public lodging.